﻿ News Bharati - E-commerce business in India raises by 17% within 2018-19. News Bharati - E-commerce business in India raises by 17% within 2018-19. E-commerce business in India raises by 17% within 2018-19. 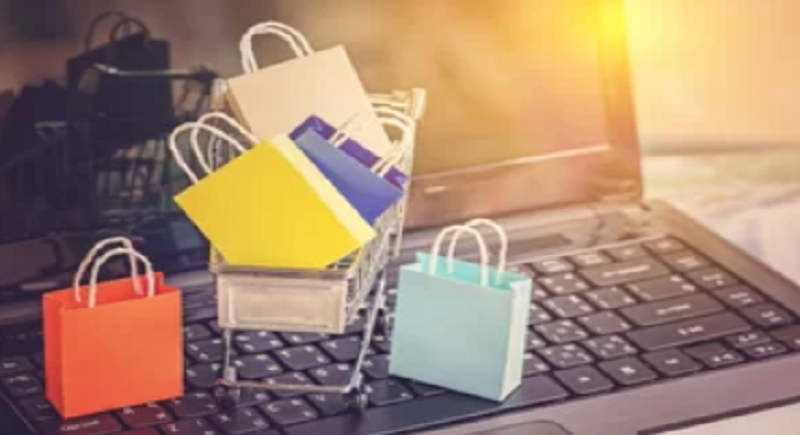 New Delhi, February 5: The Government of India, in the lower house on Tuesday declared that the Indian E commerce market reached USD 38.5 billion, growing at a rate of about 17% in the financial year 2018-19. As per the Economic Survey 2017-18, the electronic commerce (e-commerce) market in India is estimated at USD 33 billion, with a 19.1 per cent growth rate. Ecommerce allows consumers to electronically exchange goods and services with no barriers of time or distance. It has expanded rapidly over the past five years and is predicted to continue at this rate, or even accelerate. In the near future the boundaries between conventional and electronic commerce will become increasingly blurred as more and more businesses move sections of their operations onto the Internet. Referring to the National Association of Software and Services Companies (NASSCOM) Strategic Review 2018, in the Information Technology and Business Process Management (IT-BPM) sector in India, the Indian e-commerce market was USD 33 billion in 2017-18 and have grown by 17% in the current year. “It has come to the notice of the Government through the complaints lodged by the consumers in the national consumer helpline being run by the Department of Consumer Affairs that the consumers have grievances relating to payment, quality and quantity issues, manufacturing defects, non-providing of services relating to e-commerce”, stated the statement. “The complaints of the consumers are transferred through the system software to the companies concerned for redressal. In cases where consumers are not satisfied with the redressal, they are advised to approach a Consumer Forum of appropriate jurisdiction for redressal of their grievances. The consumer fora are empowered to give relief of a specific nature and award, wherever appropriate, compensation to consumers”, it added.